eBay Inc (NASDAQ:EBAY) is showing that it intends to remain at the forefront of the online retail industry, embracing the shift to mobile technologies and broadening the array of industries it serves. Its first-quarter results are a reflection of the progress it continues to make in these regards. It reported first-quarter earnings of $0.63 per share, a year-over-year gain of $0.08. The stock dipped slightly following the report, probably reflecting a lower-than-anticipated outlook for the June quarter. Still, the online auctioneer and payment service provider looks for full year 2013 share profits to climb 15% on a similar rate of sales growth. 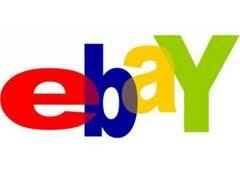 Compared to the same period last year, eBay Inc (NASDAQ:EBAY)’s base of active users rose 13% in the previous quarter. The mobile revolution has not missed eBay, as this and other technology improvements allowed for sales volumes to increase at the same percentage. Citing fashion and ticket-based merchandise as growth drivers, the company, despite being a seasoned online marketplace participant, is reaping benefits from the shift of commerce to the Internet that is undoubtedly persisting. Basically, with about 116 million registered accounts at the end of the previous quarter, as compared with roughly 102 million at the same point in 2012, eBay appears a strong entity as ever. It derives about 55% of its marketplace unit revenue from international sources, a proportion that has held steady. eBay’s popular electronic payment technology saw its revenue advance 18% in the quarter, behind a 16% hike in the number of registered accounts to 128 million in total. Payment volumes rose even faster, growing 21%. What eBay Inc (NASDAQ:EBAY) is doing right in this business is that it is investing in subscriber acquisition, as well as developing new products and expanding internationally. The company is testing offline payment methods in retail outlets across the U.S., an initiative in line with the evolving retail atmosphere. A couple of months ago, I had analyzed a number of payment services stocks in a blog. One of the companies looked at was Fiserv, Inc. (NASDAQ:FISV), a stock that has been on an upward trajectory as its earnings prospects are outstanding. Fiserv primarily targets banks and financial institutions, and thus, should be in good shape as its end markets spend on technology and it further expands its market share. In fact, management is calling for earnings growth of 15% to 18% this year, as revenue is buoyed by the recent acquisition of Open Solutions, a provider of account processing technology for financial institutions. Fiserv is essentially a growth stock and might well have further positive momentum.